Please vote for us on MintPal! Fractal Coin is a revolutionary X11 PoW coin featuring a new difficulty adjustment algorithm (Slingshield) and a unique two phase distribution plan which ensures that the coin remains sustainable and economically viable indefinitely. During the first 28 days 90% of all coins will be distributed before the coin then transitions to Slingshield and percentage based fees which will begin to form the backbone of the block rewards. Eventually the block rewards will be completely provided by percentage based fees beyond the initial distribution period. Slingshield providing advanced 51% protection by increasing hashrate required for attack to 71%. 90% of coins mined in the first 28 days of mining to combat inflation and price instability. Digishield transitioning to Slingshield to provide sustainable difficulty adjustment tailored to the coins timeline. 0.5% transaction fees after 28 days, ensuring that mining remains profitable without hyperinflation. 0.5% premine to aid development. Once activated and the block rewards lowered, the contribution of fees to the block reward will increase significantly. As such by the end of the block schedule the coin will be able to totally sustain itself with a high block reward solely comprised of coins from percentage fees. This ultimately ensures that the Fractalcoin network will remain secure for the significant future and that it'll also be economically viable. Once activated Slingshield adjusts difficulty dynamically as transactions are added to a block. This significantly decreases the risk of attacks such as conducting a double spend as with Slingshield the attacker would now require 71% of network hashrate as opposed to 51%. This in turn ensures increased network security and a fair balance between both loyal miners and multipools that only mine blocks with high transaction fees. Full details about the Slingshield difficulty adjustment algorithm are available in the white paper here. Initially the block rewards for the first 30 blocks contain no coins, this is to ensure that the launch is as fair as possible. This means that pools have time to confirm that their systems are working as expected and that everyone has a fair chance to unlock their wallets and set up solo mining if they wish. 0.1% to each of the 3 founders at Cryptolabs Technologies, creator of Fractalcoin. 0.2% for bounties and development of the coin. After the initial 30 blocks the reward schedule for this coin features a rapid distribution of coins for the first 28 days. Large rewards are available for those mining on the first and last day of the initial phase to both reward early adopters and also to entice those who may have missed out originally at release. From block 318231 onwards the block reward will be fully sustained by means of percentage fees. 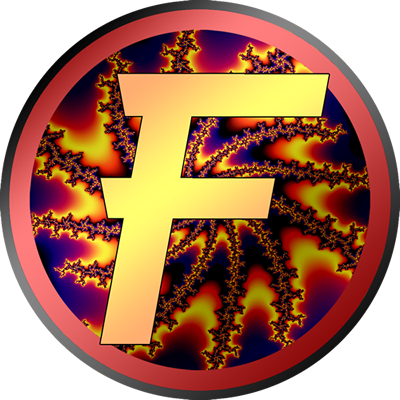 The Fractalcoin source code is now available at our GitHub repository here. This fund will enable us to continue providing bounties and allow us to maximise exposure of the coin through advertising and marketing campaigns. The scope of the donation fund is not limited to the above however, they are just some of the potential uses. I'll be mining this Saturday! Just need a pool to pre-reg at, as I have my hockey game at that time! Will put up pool in the next hour! Watch out. This guy pees in the pool. Hmm, I'll keep an eye on it. I suggest changing the ticker letters tho. It reminds me of Fracking which is a drilling technique that has come under fire and has some negative conotations. MinePit will do a pool for this coin but unfortunately I won't be around at launch time so it will have to wait until the following morning. We'll keep an eye out for developments with your coin. Never mining in this pool again. Same here, binaryclocks ways to do business is disgusting, you do not deserve any support. Placeholder is up, launch countdown is set. LOVE the idea since Ghash threatening 51% today.